The world needs massive investments in low-carbon energy systems , and an end to the construction of new coal-fired power plants. And it needs massive investments in electric vehicles (and advanced batteries), together with a sharp reduction in internal combustion engine vehicles. The developing world, in particular, also needs major investments in water and sanitation projects in fast-growing urban areas. And low-income countries, in particular, need to scale up health and education systems. 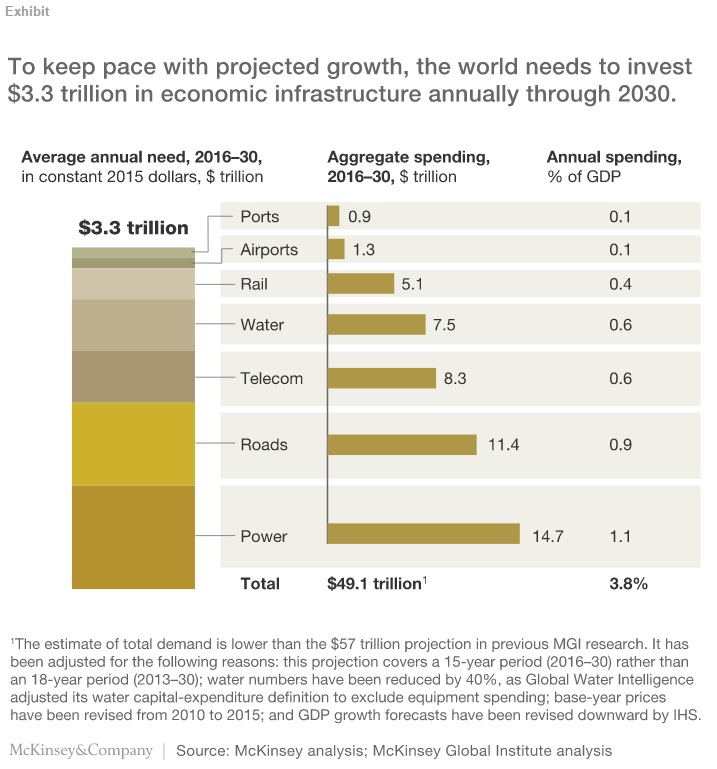 The US and Europe also need major new infrastructure programs . The US – where the last big infrastructure project, the national highway system, was concluded in the 1970s – should emphasize investment in low-carbon energy, high-speed rail, and the mass uptake of electric vehicles. As for Europe, the European Commission’s Investment Plan for Europe – dubbed the “Juncker Plan,” for Commission President Jean-Claude Juncker – should become the EU’s SDG program. It should focus, for example, on creating a Europe-wide transmission grid for low-carbon energy, and on a massive increase in renewable-power generation .